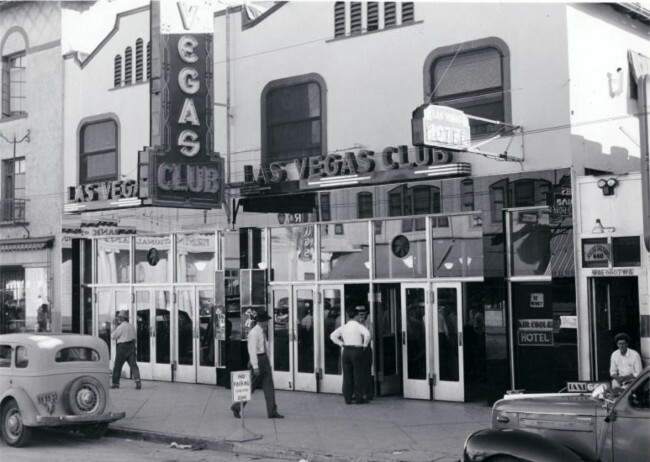 The Las Vegas Club opened in 1931 at 21-23 Fremont St. 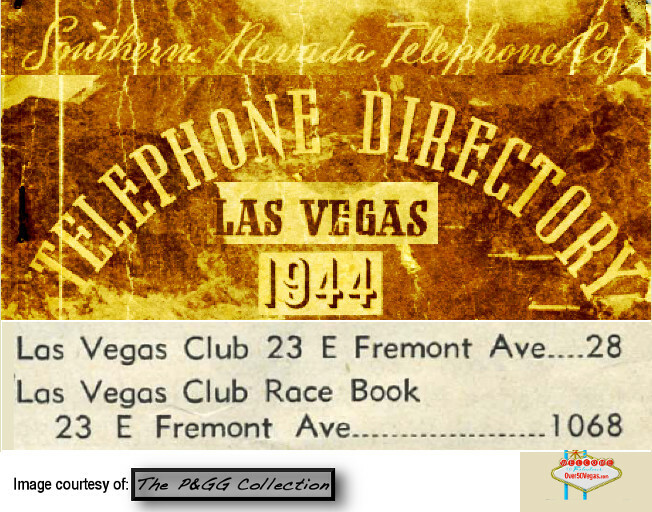 This is a listing from the 1939 Nevada phone book showing the location and phone number for the Las Vegas Club in 1939. 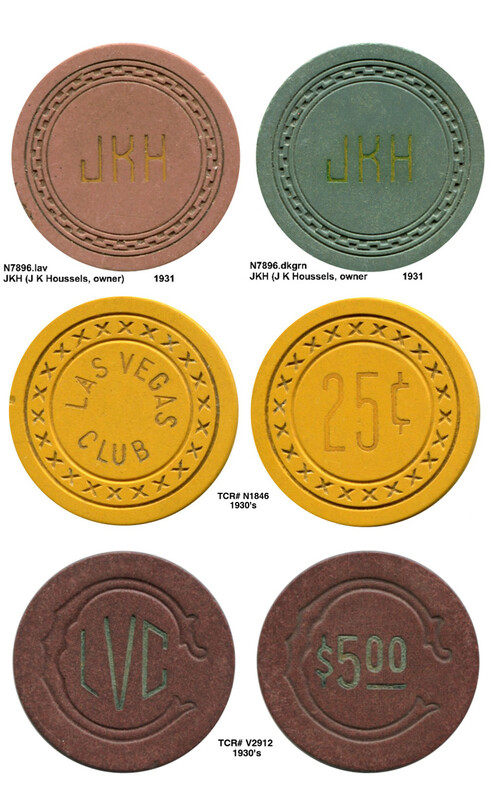 These chips from my personal collection are some of the original chips used at the Las Vegas Club. The initials JKH refer to owner J. K. Houssels. 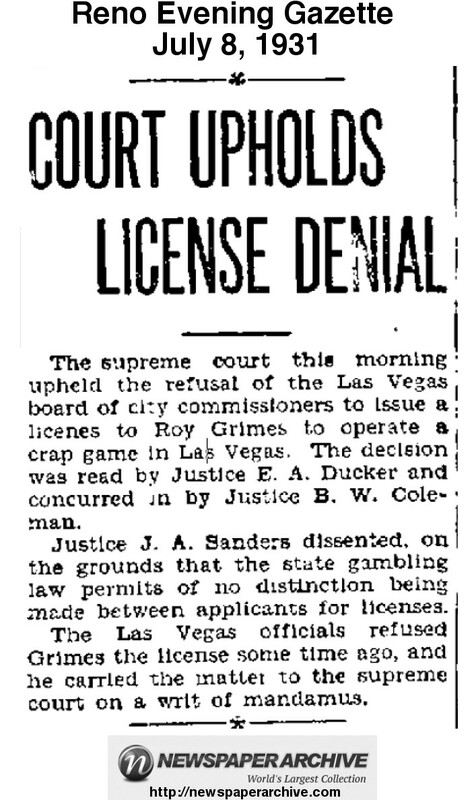 Here's an interesting example of how confusing it can be to research old business locations. 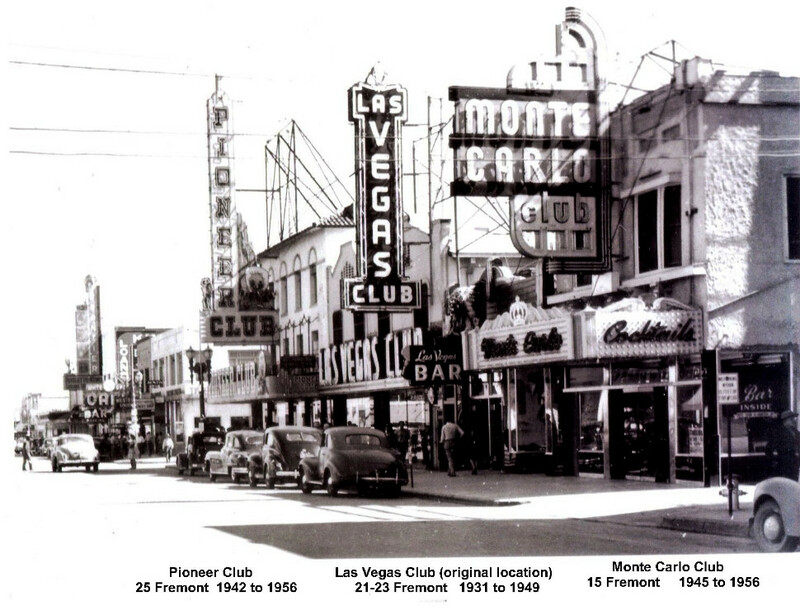 1945 Murphy's Las Vegas Classified Business Directory. Can you find something in it that may not be accurate? 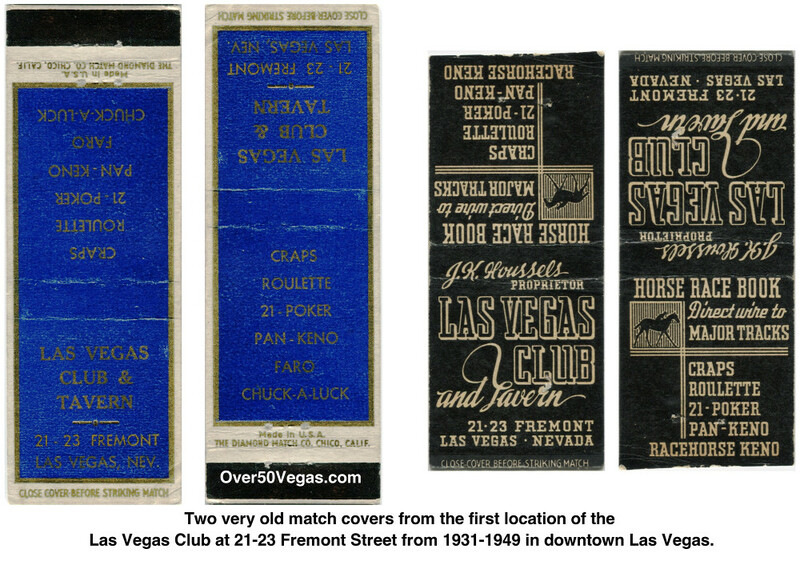 the location at 28 Fremont St.
We know from other sources and photos that 23 Fremont is accurate. My guess is that the artist was concentrating on the quality of the drawing and mixed the address up with the phone number which was indeed 28!